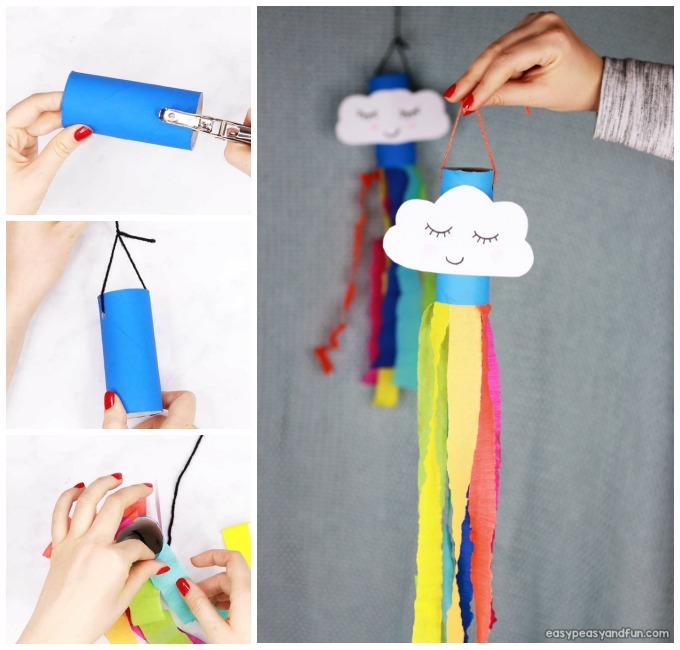 Catch the spring winds with this adorable little rainbow windsock toilet paper roll craft. 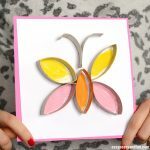 This adorable craft makes for a great rainy day activity. 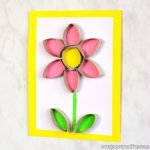 This colorful spring craft idea will turn even the darkest rainy day into a bright and fun one. 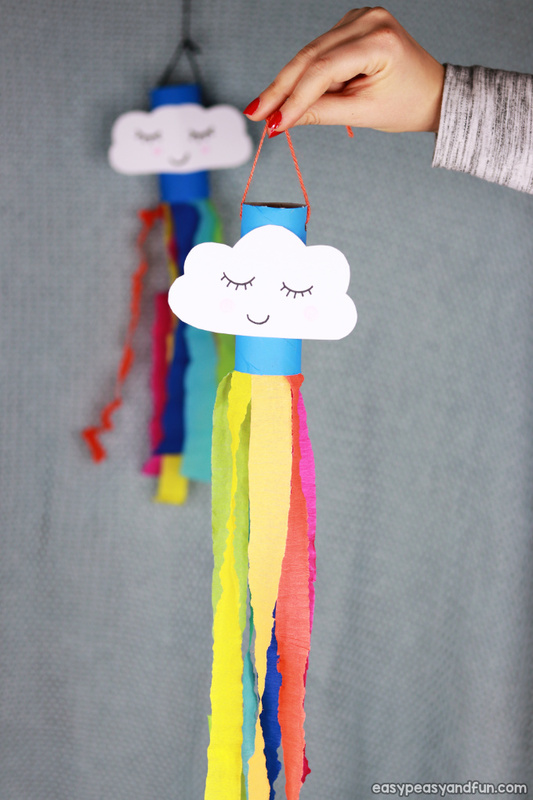 And once the rain stops pouring your kids will happily hang these beauties outside so they can dance in the wind. 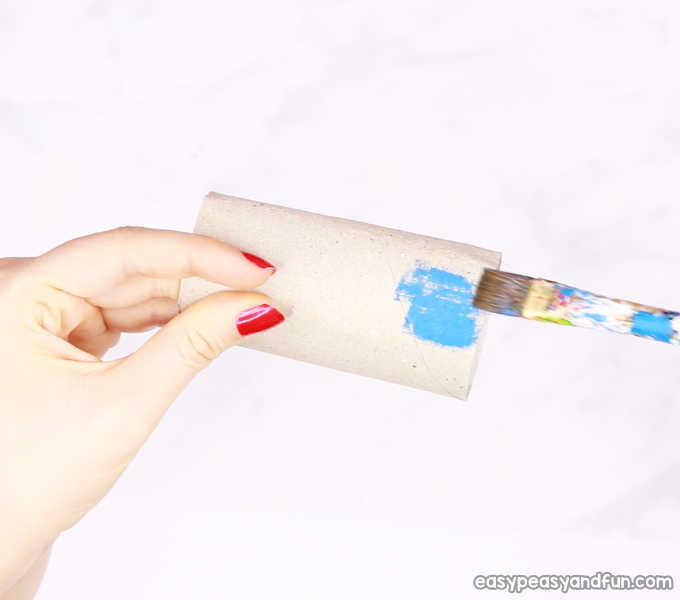 Start by painting the toilet paper roll in blue color. 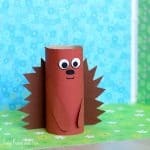 Once you are done coloring, you can set the toilet paper roll aside so that the paint dries completely and move on to making the cloud. 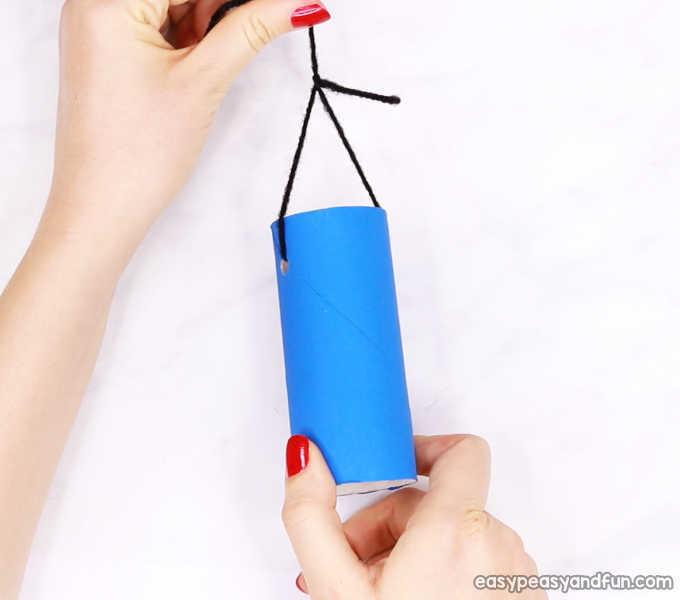 Once the paint is completely dry, punch two holes in the paper roll (to string the yarn for hanging). 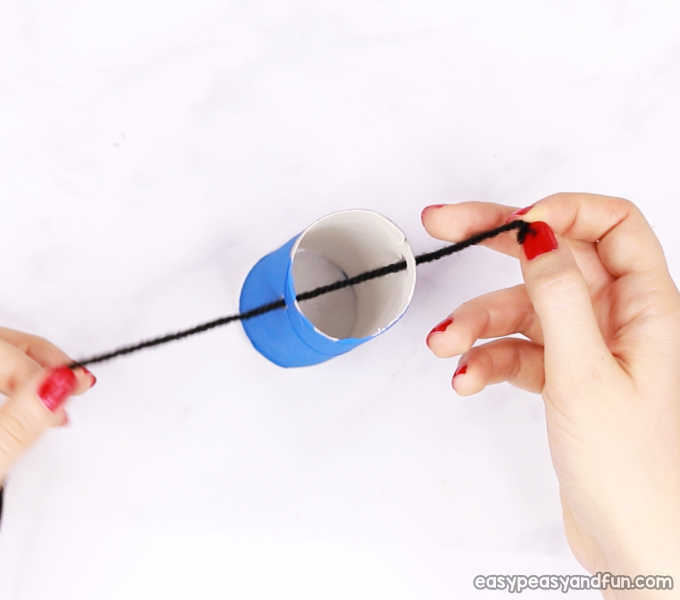 Push yarn / thread through both of the holes. 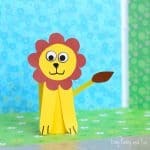 Draw a cloud shape on white paper and cut it out. 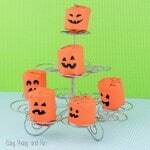 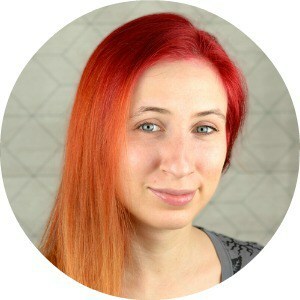 You can leave it as is, or make a friendly cloud by drawing eyes and mouth, as well as pink cheeks. 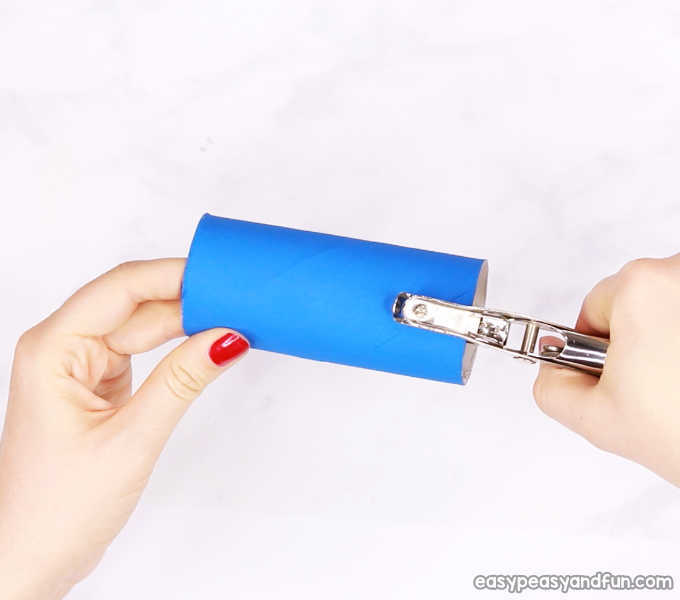 Glue the cloud on the toilet paper roll. 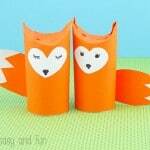 Cut long strips out of tissue paper and stick them inside the toilet paper roll. 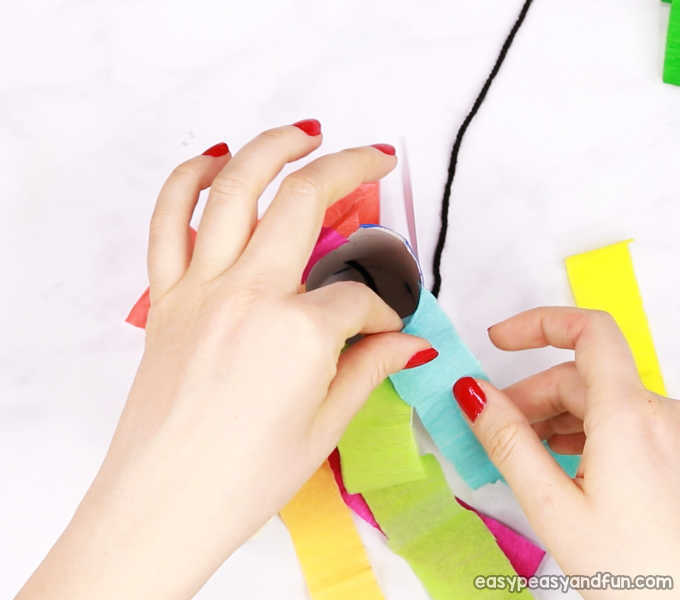 Glue them all the way around and you are done. 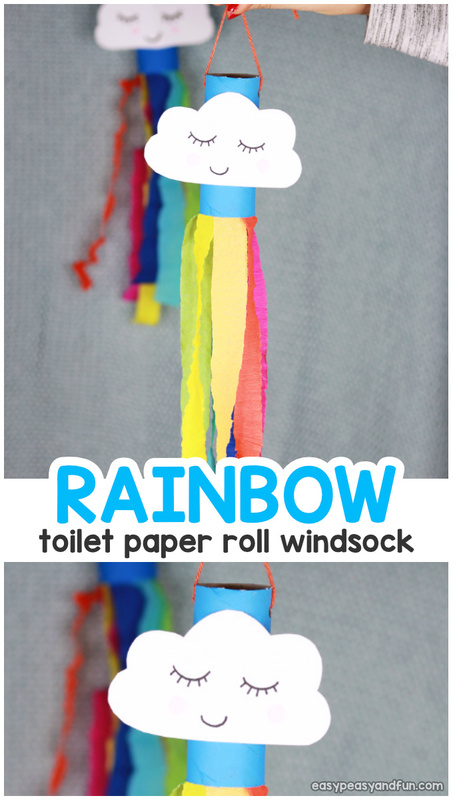 You’ve made a Rainbow Windsock Toilet Paper Roll Craft.